The Royal Marines – one of the world’s most elite commando forces – are to march at Pride tomorrow for the first time in their history. The contingent will be led by the Royal Marine Band Service at the event in central London tomorrow, which is expected to draw crowds of up to one million people. They will also be joined by other members of the Armed Forces, who will be celebrating their tenth year at Pride. 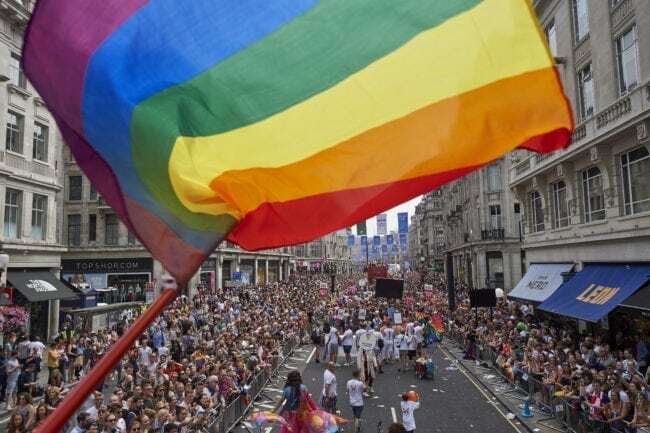 The sailors and the marines will march along central London before stopping off at the Cenotaph in Whitehall to pay tribute to the LGBT people who’ve served in the Armed Forces throughout history. Surgeon Lieutenant Commander Mike Hill, one of the organisers of the Navy’s involvement in Pride, told Portsmouth News: “It has been almost 20 years since the ban on LGBT+ people serving in the military was lifted, but many people outside of the armed forces still think it’s an exclusively macho organisation. The Armed Forces launched a campaign in January last year to encourage people of different orientations and faiths to join, after missing its recruitment targets. The Royal Navy was the first defence organisation to join Stonewall as a Diversity Champion in 2005. 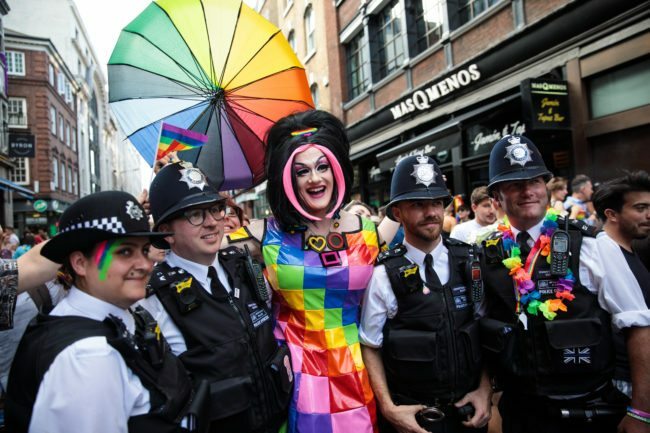 Openly LGBT people in the Armed Forces were banned from serving in the military until 2000, when it was overturned in a European Court of Human Rights case. Military bans of LGBT people have been in the headlines recently, following repeated attempts by Donald Trump to stop transgender people serving. However, the attempted ban was overturned by the federal courts.